Our 11” x 9” rectangular plaque is designed to be hung from your shop walls, making it both a practice surface and a blank canvas for your best work. Execute a tattoo showpiece on our synthetic plaques for clients, artists, and friends to admire. 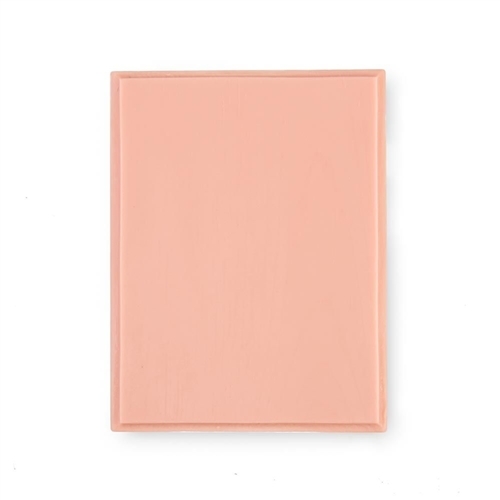 This pink-toned plaque has a distinct beveled-edge frame to accent your work.